99 Cent Books to Start the New Year! What better way to start 2017 than with a great deal on some ebooks? My publisher has Grace’s Pictures on sale all month, along with some other great reads. Only 99 cents in January! Click here for the deal. Grace’s Pictures is the first book of the Ellis Island series, so if you haven’t gotten started, now’s a great time. There is also a sale on Sofia’s Tune (book 3 in the Ellis Island series.) But you have to hurry with this one. The price is 99 cents for a couple of days, then goes up to 1.99 for a few days, and then back to its regular price of 2.99, which seriously is still a good deal. Sofia’s Tune (Ellis Island Book 3) <<<Click this link for the deal. Did you know there is a sequel to the series? It’s short, but helps to explain how Mrs. Hawkins came to open Hawkins House, the setting of all three novels. And it’s FREE! You can’t do better than free. All you need to do is sign up for newsletter. You probably saw a pop-up, but if not, click here. This entry was posted in Books, Cindy Thomson, early 20th century fiction, ebooks, Ellis Island Series, Grace's Pictures, Sofia's Tune and tagged ebook deals on January 1, 2017 by cthomson. Ebook Sale on Grace’s Pictures! My publisher is offering the ebook version of Grace’s Pictures for just .99 for a limited time! It’s the first book in the Ellis Island series, so if you haven’t started the series, or you missed this one, this is a great time to grab a copy. You can find buy links on this page: Grace’s Pictures by Cindy Thomson and also read the first chapter for free! This entry was posted in early 20th century fiction, ebook, Grace's Pictures and tagged Cindy Thomson, ebook deal, Grace's Pictures on March 1, 2016 by cthomson. Enter to Win Sofia’s Tune! Giveaway ends November 01, 2015. This entry was posted in Books, early 20th century fiction, Ellis Island Series, giveaway, Goodreads, Sofia's Tune and tagged Author Cindy Thomson, giveaway, Sofia's Tune on September 22, 2015 by cthomson. 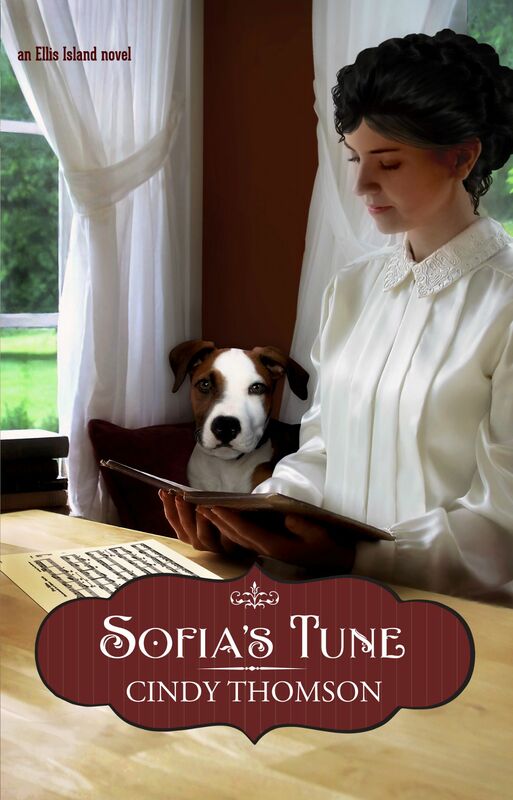 Here is the cover to my new book, Sofia’s Tune, which will be published in November, the final book in the Ellis Island series following Grace’s Pictures and Annie’s Stories. I directed this cover myself, it was designed by the talented Kim Draper, and photographed by my daughter-in-law Kelsey Thomson. The model is Kelsey’s long-time friend Kaitlan Livingston. I rented the costume from a local shop. The dog in the story is named Luigi. He plays such an important role, he had to be on the cover. The music represents “tune,” the direction of our lives, the manner in which we orchestrate our plans. This entry was posted in Books, dogs, early 20th century fiction, Ellis Island Series, Sofia's Tune and tagged Ellis Island series, fiction, Sofia's Tune on August 26, 2015 by cthomson. Jules Verne and H.G. Wells came to mind, but I had to pick novels for my character that would have been available in 1901. Wells had only three novels published by that point, but they were popular: The Time Machine, War of the Worlds, The Island of Doctor Moreau. The First Men in the Moon came out in 1901, and my characters are eagerly awaiting it. For Verne there were plenty to choose from because he had been publishing for decades at that point. I chose Facing the Flag because I imagine most people today would not be familiar with that one. I wasn’t. So because my character, Stephen Adams, was reading it and enjoying it, I had to read it along with him. Verne’s visionary outlook is startling when you think about it. In this novel he wrote about a weapon of mass destruction a hundred years or so before that term was even being used. A brilliant, but somewhat demented, scientist invents a weapon that the countries of the world all want, something that actually happened in the WWII era. You can read about the novel here. The novel is in the public domain so you can get it free on Google Books. I left some hints in my novel. One is about a book that would soon be published. I’d love if readers would find that and let me know! Another is about something that Stephen, thinking like the novelists he most admired, imagined would be a keen invention, a device you could use to hear someone read a book to you while you worked. 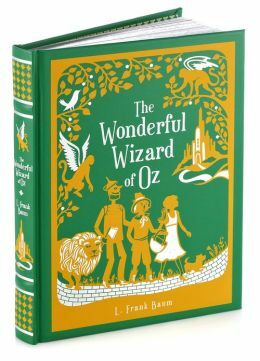 There are other bookish themes in Annie’s Stories, not the least of which is The Wonderful Wizard of Oz. If you haven’t read the book by L. Frank Baum, it’s also in the public domain. Try it out. It’s a bit different than the movie. This entry was posted in Annie's Stories, early 20th century fiction, H.G. Wells, Jules Verne on July 31, 2014 by cindythomson.